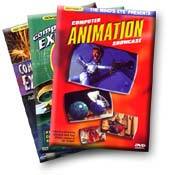 This group of DVDs presents hilarious short stories, providing a great source of entertainment while also making available some of the greatest computer animation from around the world. These videos and DVDs showcase wonderful short stories which are made especially for kids, though they are equally entertaining for adults! 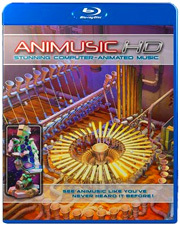 STASH delivers the planet's most innovative and outstanding commercial animation, VFX and motion graphics, plus insightful behind-the-scenes extras in a monthly DVD magazine. 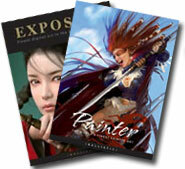 Featuring the very best books in the field of digital art, visual effects, computer graphics, as well as titles about technique, philosophy, and the digital artists who make it happen! Find what you want with our Search Feature. 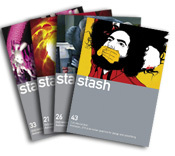 Did you miss out on the first year of Stash Magazine? Then pick up the Stash Sixpacks, which each have six DVDs with over 170 commercials, virals, music videos, and short films! Painstakingly re-reworked and pristinely encoded for Blu-ray! Nine main tracks and bonus material including interview segments, trailers for DVDs, and stage construction shorts! 1080i for main tracks! Beyond the Mind's Eye is a classic visual-music presentation, with original music scored by Grammy award winning composer Jan Hammer. 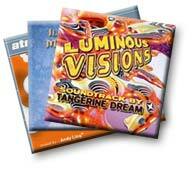 This brand-new, unopened, Limited Edition DVD comes in a special rare "collectors" box package. One of the last places in the world to buy this DVD! Get this classic, best-selling "out of print" DVD today! This is the last place in the world you will find the original, shrink-wrapped Gold Series version of "The Gate"! 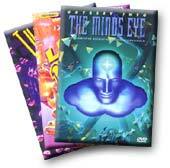 The Gate to the Mind's Eye is the third computer animated odyssey in the "Mind's Eye" series.